The top result at the Mecum Monterey 2018 sale was $3,850,000 paid for a 1933 Duesenberg Model J Convertible Coupe Disappearing Top Roadster. Mecum sold ten cars for over a million dollar at the Monterey 2018 sale including two Duesenberg Model J convertibles. Top results also included three modern Ferraris – a LaFerrari, an Enzo and an F12tdf – and two major race-winning cars: a 1989 Porsche 962 (Daytona 24 Hours) and a 2012 Dallara DW12 Honda Indy Car (Indy 500). At least 16 million dollar bids were unsuccessful. The Mecum Monterey collector car auction was held on August 23 – 25, 2018, during the annual Monterey Motor Week in California, USA. In 2018, Mecum earned $44.7 million by selling 360 of the 690 lots on offer (52%). The average sale price was $124,190. In 2017, Mecum earned $32.1 million at Monterey with a 46% sell-through rate (296 of 645 lots sold). The average sale price was $108,478. The top result at the Mecum Monterey 2018 sale was $3,850,000 paid for a 1933 Duesenberg Model J Convertible Coupe Disappearing Top Roadster, chassis J-386/2421 – a strong result well above upper estimate. 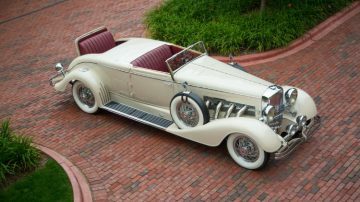 The Duesenberg was purchased new by Academy award-winning actress Marie Dressler with LeBaron Convertible Sedan coachwork but was already upgraded to the unique Bohman and Schwartz coachwork a year later by its second owner, Hollywood director/producer Roy Del Ruth. Just to show that the top result was not a fluke, Mecum sold a 1929 Duesenberg Model J Convertible Sedan for $1,155,000, while a $900,000 bid was not successful in buying a 1930 Duesenberg Model J Torpedo Phaeton. The Duesenberg of the Monterey 2018 week was of course the 1935 Duesenberg SSJ sold for $22 million at the Gooding Pebble Beach 2018 sale to set a new record for an American car and for a prewar car. 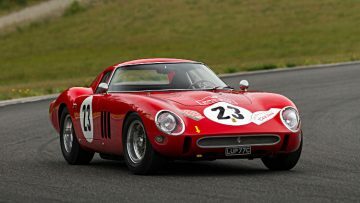 Many modern Ferraris were available at Monterey but results were mixed with several failing to sell. The top Ferrari result at Mecum was $3,190,000 for a 2014 Ferrari LaFerrari while a second LaFerrari failed to sell despite a $3.2 million bid. Mecum had the only Enzo of the week and it sold for a relative strong $2,860,000. Mecum also had the strongest F12 TdF result – the fifth one to achieve over a million dollar – but a second F12 TdF failed to sell despite a million dollar bid. 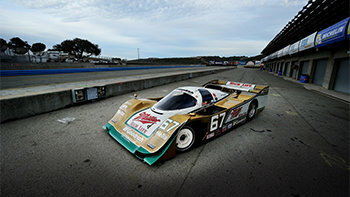 The 1989 Porsche 962 won the Daytona 24 Hours race driven by Derek Bell. It has been offered at several auctions in recent years without finding a buyer. The accepted result was lower than previous rejected bids. In addition to the Duesenbergs, Mecum also had a good result with the 1936 Auburn 852 SC Boattail Speedster – Gooding had a similar result for a similar car. Only one Porsche 959 was on offer at all the Monterey week auctions in 2018 and it was a damaged one. The 1987 Porsche 959 Komfort was damaged when its transportation trailer broke loose and veered of the highway. 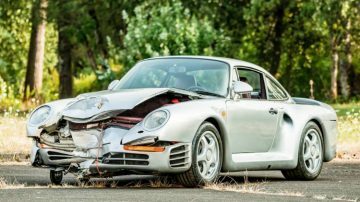 It still achieved $467,500 and although it could be repaired (at great expense) it will never be as valuable as another 959 with only 3,657 miles on the clock. According to Hagerty, a Porsche 959 in concours condition should fetch around $1.3 million while one in fair condition is worth around $660,000. 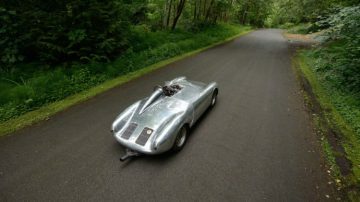 The Duesenberg and Auburn results showed that Mecum certainly can sell cars usually associated with catalogue auctioneers but the miserably $2 million highest bid for the 1958 Porsche 550A Spyder showed buyers may not be willing to take a risk on a car that is available elsewhere too: RM Sotheby’s sold a 550A for $4.9 million and Gooding a 550 for $4.5 million during the same week. 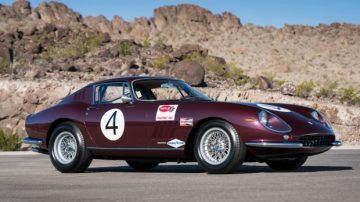 Buyers may similarly question why a Ferrari 275 GTB is not offered at the big three if top dollar is expected. Mecum has a good record on selling modern supercars. Several relatively high bids were received at Mecum Monterey 2018 with some near the lower estimates but not accepted. The failure of all modern Bugattis to sell at the Monterey week 2018 auctions is particularly noteworthy. None of the six Veyrons – four at Mecum alone – or the Chiron at Bonhams were sold. Just as well for Bugatti that the 40 Divos were sold out before production started but the new owners may have to be patient if hoping for a quick return on investment. The controversial 2017 Ford GT failed to sell with a highest bid of $1.6 million. The car was bought for $1,815,000 at the Mecum Indianapolis sale. 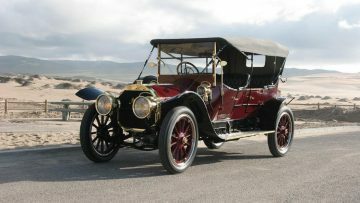 Russo and Steele sold a similar car in Monterey for $1,540,000. As the sold car is apparently without the two-year selling restriction placed on other GTs, owners of the 250 cars produced may have to start lowering profit expectations.